Our best friends. Our fur babies. They bring us so much joy, with them we share unconditional love. They are some of the most treasured relationships in our lives. When they pass we grieve. This memory box was made for Kris Carr after the loss of her beloved Buddy. 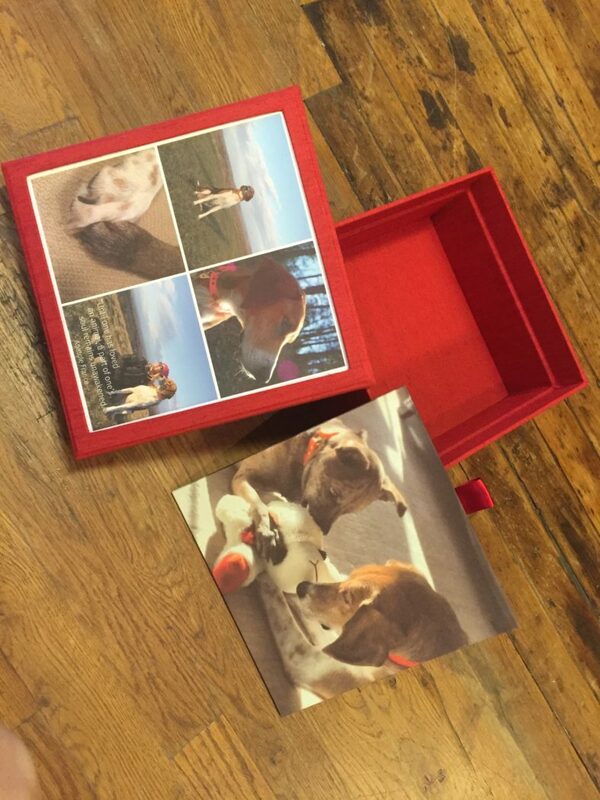 The two piece box is covered in red book cloth and the photographs are custom printed on white Iris book cloth. It will house his collar and other special Buddy things. Let us know if we can make something special to honor your best friend. Look through our materials page to create the perfect memory box to honor your best friend.